glotherapeutics has long been a manufacturer of some of the best cleansers, toners, moisturizers, masks, scrubs, serums and treatments. Their formulas use a high concentration of active ingredients, backed by years of scientific research to provide a noticeable different in the look and feel of your skin in a very short amount of time. I would love to tell you about the products I’ve used and how they have helped my skin look younger, firmer, more even toned and more radiant! I love my Mother to death but when I look at her skin, spotted and wrinkled from years of sun damage, I cringe to think my skin will ever look like that. Of course, we are better educated now about the effects of sun damage but hey, I love the beach…and the slopes…and pools. So I have the products I use to treat damage I already have as well as some to prevent future damage. Or in the case of aging, just slow the process down. I know we all grow old, but I prefer to do it gracefully and without knives and injections. Chicken neck is scary and I see it in my future if genetics have any part in that play. But with glotherapeutics Neck Firming Serum, I know I am doing the best I can to prevent it! Then I follow with glotherapeutics Skin Firming Cream everywhere else! Don't let the price scare you...because it's worth every penny. It actually inhibits the expression of genes involved in aging! Wow! Age spots, again, scary and ugly. There is no reason to look like you have dirt smudges on your face unless you’re working in the garden. The solution is glotherapeutics Lightening Serum. It has lightened my hyperpigmentation spots and evened my skin tone in just one or two applications a day. Lovin' it! Wrinkles, let’s face it; everyone has some fear of those nasty lines that make you look older than you care to admit! glotherapeutics Retinol CS exfoliates and smoothes away dead skin cells with 3% Retinol for a younger looking complexion within the first few days of treatment. I noticed a reduction in pore size as well as minimizing fine lines. As with all retinol products, it may increase sun sensitivity so be sure to wear a sun screen daily. And my final ugly fear is raccoon eyes from dark circles. I’m not sure if they are caused by lack of sleep, heredity, allergies, obnoxious children, stress…I could go on. But whatever the cause, I now know the solution, glotherapeutics 7.5% Vitamin C Eye Gel. It diminishes the dark circles as well as limiting crow’s feet. Now that glotherapeutics has laid those fears to rest, don’t forget that the first step to good skin is cleansing, I prefer glotherapeutics Clear Anti-Blemish Cleanser to keep away those nasty zits that can mar even the tightest skin. And no skin will look truly healthy without proper hydration. I like to combine mine with a sunscreen such as glotherapeutics Oil Free SPF 40+. It’s light, non-comedogenic and has UVA/UVB protection....perfect combo for anyone who struggles with acne like myself. glotherapeutics is our second brand featured this week during our 12 Brands of Christmas promo. We will be giving away 20 Pumpkin Enzyme Scrubs...one of my all time faves. In addition, we will have professional skincare advice, samples, games, and so much more. Make sure to follow us on Facebook for all the details. We also want to say a BIG THANK YOU to all of our amazing clients. As part of this, we will be doing an ALL DAY THANKSGIVING GIVEAWAY on our Google + page. PLEASE NOTE...YOU MUST BE A FOLLOWER TO WIN. FREEBIE TIME! Who wants a glotherpeutics Cyto-luxe Cream? This is a 1.7 oz product valued at $175! Wanna win? 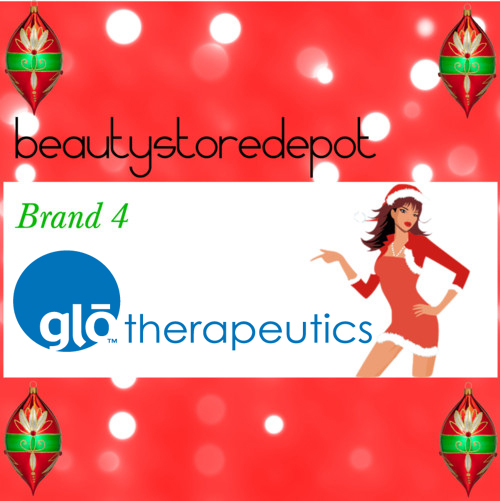 Simply go here and like our glotherapeutics brand page. Then respond with what number like you were AND your email address. Want extra entries? Then like the page on Facebook, Google+, Twitter, etc. Include all numbers in your responses. GOOD LUCK! Until next time....stay tuned and stay beautiful! Like #1, I tweeted and Shared#31 on facebook. I liked # 1 also and shared on my facebook page #36 Thanks!! tweet #15, pinned and share #52! Thanks for your participation.....the winner will be announced later on today! Thanks! Stay tuned....winner will be announced later on today! Thank you! The winner will be announced later on today....good luck! Thanks Risa for the headsup and your participation. Winner will be announced later on today. Good luck! Thanks! Stay tuned for the winner later on today! Thank you so very much! Winner will be announced later on today! Thank you so much for your participation Jodie! Stay tuned....the winner will be announced later on today! Thanks! Winner will be announced later on today....good luck! Thanks Heidie....stay tuned the winner will be announced later on today! Thanks Morgan and good luck! Thanks for the info....we unfortunately are having difficulties with our counter. Hopefully it is fixed by now. Thank you for your participation and good luck! Thanks Mandy and good luck! Shared on facebook 2x and twitter too. Thank you for this fun giveaway. Congratulations!! I just drew your name in this drawing and will be sending you an email shortly for your shipping information. ENJOY!! Thanks so so much!! Looking forward to trying this! Get Your Fabulous Fall Smoky Eye!